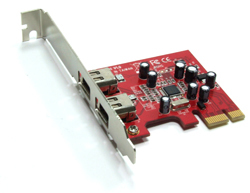 SD-FW72873-2i Контроллер IEEE1394 (FireWire) PCI (2+1), NEC chip (card only) 11 $. 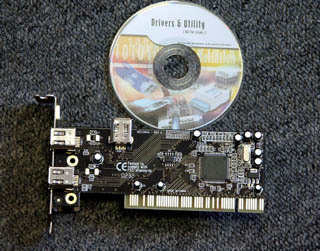 SD-FW72873LP2 IEEE1394 (FireWire) PCI (2+1), NEC chip, Low profile kit w/cable+soft 17 $. 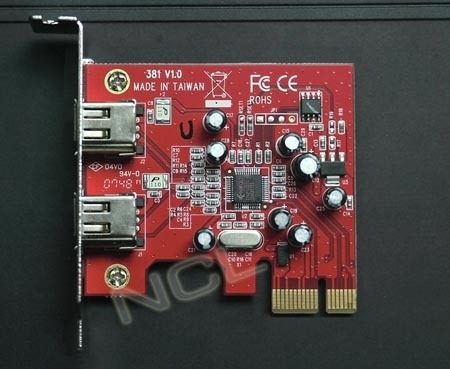 SD-FW72874 Контроллер IEEE1394 (FireWire) PCI (3+1), NEC chip, Retail w/cable+soft 18 $. MP381E Контроллер IEEE1394 PCI-E, JMicron chip 30 $. MP381EL Контроллер IEEE1394 PCI-E, JMicron chip, LP низкопрофильная 35 $. 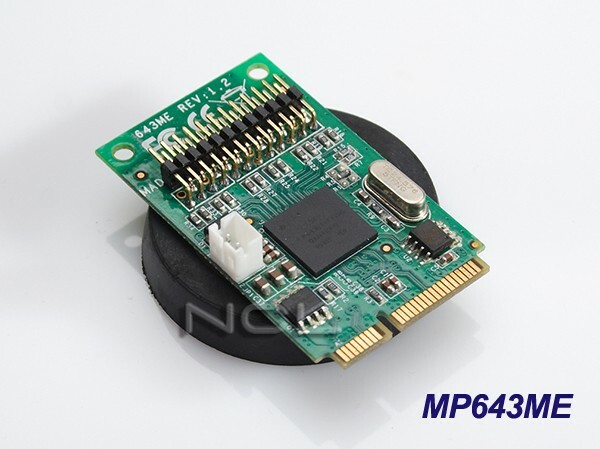 MP4103 3+1 порт, Texas Instruments chip 26 $. 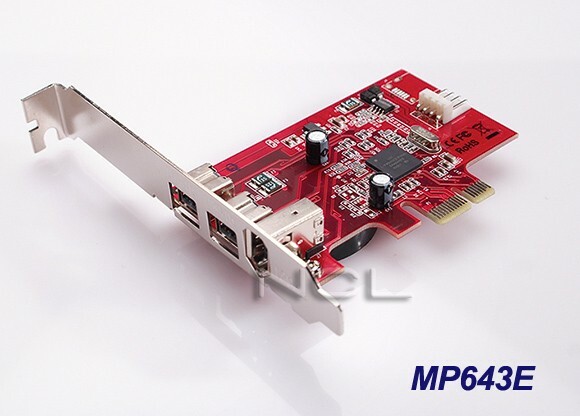 MP4323 Контроллер IEEE1394 PCI, Texas Instruments chip 27 $. 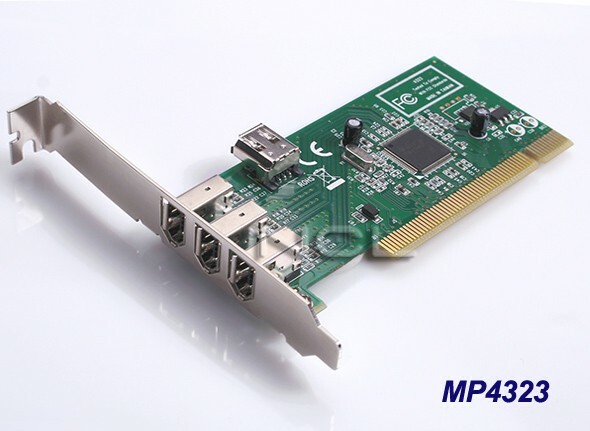 MP4323L Контроллер IEEE1394 PCI, Ti chip, LP low profile 24 $. MP6306 Контроллер IEEE1394 (3+1) порт, VIA chip 12 $. 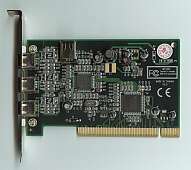 MP82AA Контроллер IEEE 1394b PCI-64, Texas Instruments chip 59 $. 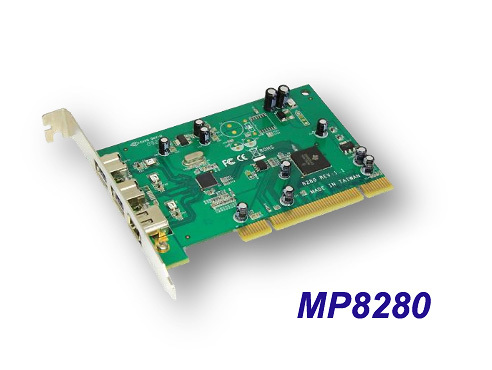 MP82AAM-L Контроллер IEEE1394b PCI-64,TI chip, низкопрофильный 62 $. MP8280 Контроллер IEEE 1394b PCI, Texas Instruments 53 $. MP2200E Контроллер IEEE1394 PCI-E, Ti chip 35 $. 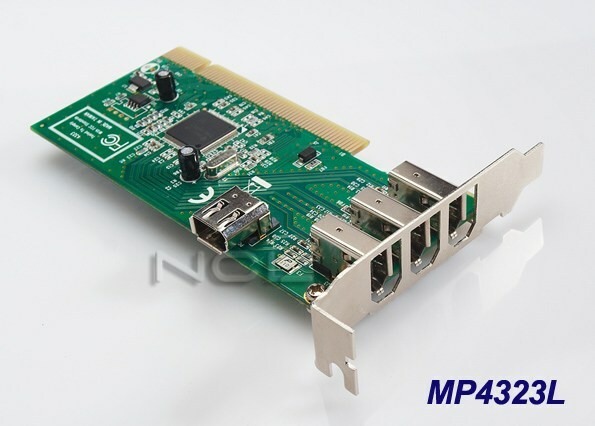 MP643E Контроллер IEEE1394b PCI-E, LSI chip 53 $. 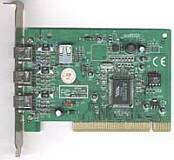 SD-EFWB-V1T IEEE 1394 (Texas Instruments чип) PCI-E 36 $. 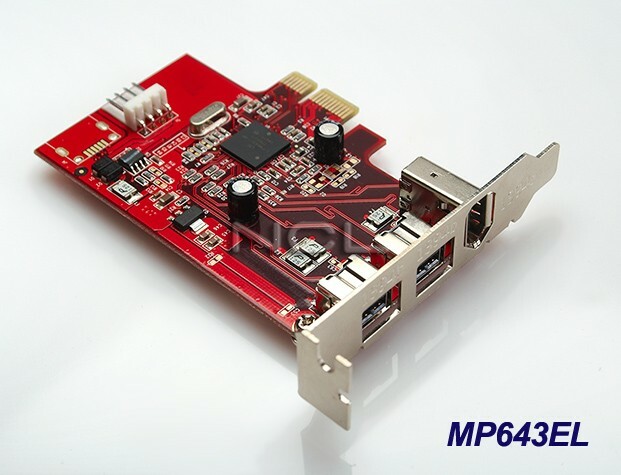 MP643EL Контроллер IEEE 1394b PCI-E, LSI chip, low profile 53 $.